This is really neat. Great concise description of your package and very cool, quick example. Thanks Jerome! I hope you find it useful. Thanks, I found this useful! I think I would like your package even more if I would know how to apply this. I’m pretty new to R but I’m taking a course in university where I have to make geographical maps like yours. So I want to map my zipcodes with the help of your package (my zips are from the US as well). could you maybe post the code on how I could get my zips on a map?I’ve been trying for over 2 days to get this working but I’m not an IT person so R is like hieroglyphics to me. Since this would be the first step out of many I would really appreciate some help. This package is very useful! Thanks for your contribution Jeffrey. 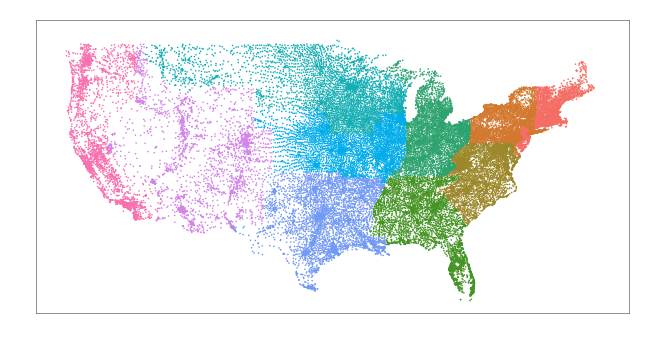 I had to do a very quick plot of data on map, given US zipcodes. I searched for method in Excel, SAS and Matlab and this one turned out to be simple and efficient. Thanks for the posting. 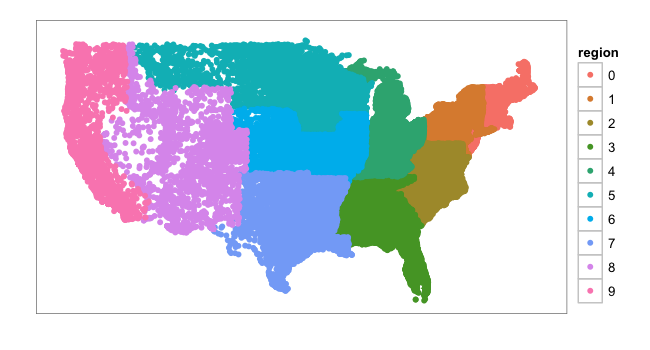 Wondering how do you change the point size and if its possible to add Country and state boundaries to this plot?